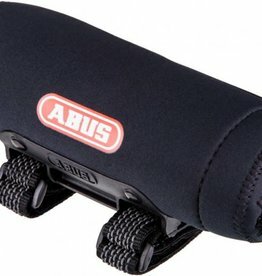 The ABUS Basico ST 5200 frame bag is good for carrying one of ABUS' chain locks or great for stashing small items: phone, repair kit, and nutrition. 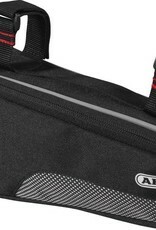 This roomy zipped pouch is made of nylon with an exterior mesh pocket. 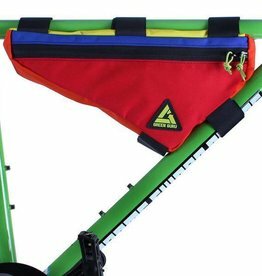 Attaches to frame with three adjustable velcro straps, one around the seat tube and the other two on the top tube. 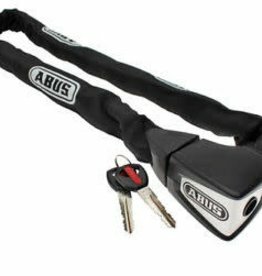 The Ionus 8900 offers great mid-level security by itself or as an ideal second lock for urban riders requiring an additional security option to supplement their heavier u-locks. Easy to use, easy to transport! 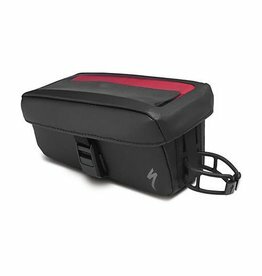 The Vital Pack concept is pretty simple—conveniently organize and store your nutrition on the bike. 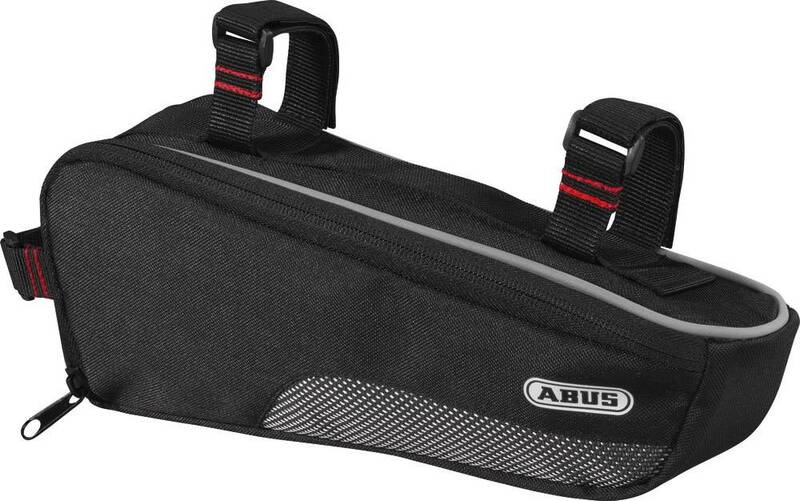 The ABUS chain lock bag is a sleek and easy way to store your lock on your bike.